The definition of “East Asia” is always flexible as ever. In the EASE Association, We see the term, “East Asia,” as a concept instead of a definition, and we believe that grasping the nature of “Science Education” is more important than defining “East-Asian.” At the moment, the association has five constituent regions (China Mainland, Hong Kong, Japan, Korea, and Taiwan); however, the membership is not confined to people in these regions. In fact many of our members are from other parts or outside of Asia now. ANYONE interested in research and practice of science education ARE ENCOURAGED TO JOIN US AND WE WELCOME THEM ALL from the bottom of our hearts. The constituent regions are not limited to current members either. We are hoping to have a larger extended coverage of constitutional regions in the near future. Since the EASE was officially established at Seoul National University, Korea, the first President, Prof. Masakata Ogawa, the second President, Prof. Jinwoong Song, and the third President, Prof. Chi-Jui Lien, have organized many important academic events. With efforts from all EASE society and local science education communities, remarkable successes were achieved in many great events, including, the first biennial conference (EASE-2009) themed "Science Education for Tomorrow (SET): Voices of East Asia", Taipei, Taiwan; the first summer school (EASE-Summer School 2010), Taipei, Taiwan; the second biennial conference (EASE-2011) themed "Lighting the World with Science", Kwangju, Korea; the second summer school (EASE-Summer School 2012), Beijing, China Mainland; the third biennial conference (EASE-2013) themed "Building an International platform for exchange between scientists and science educators", Hong Kong; the first winter school (EASE-APCTP winter school 2014), Seoul, Korea; and from them, friendship and academic cooperation were strengthened. The IMPORTANT FUNCTION OF THE REGIONAL COOPERATION THROUGH THE EASE has been well demonstrated and has also declares a state of RISING FOR THE EASE. Many exciting academic EVENTS ARE YET TO COME! Scholars from China Mainland are preparing for THE FORTH EASE CONFERENCE (EASE-2015) at Beijing Normal University, in October, 2015. We sincerely hope to see you and your excitements there! Before that day comes, our E-Newsletter will continue to provide vital information about the science education movements in the membership regions and the world. Please let’s not forget to add the EASE web-site as one of your favorites. If you feel a need to contact the EASE, you may reach the executive members at yours region, other regions, or make contact directly with the EASE headquarter. 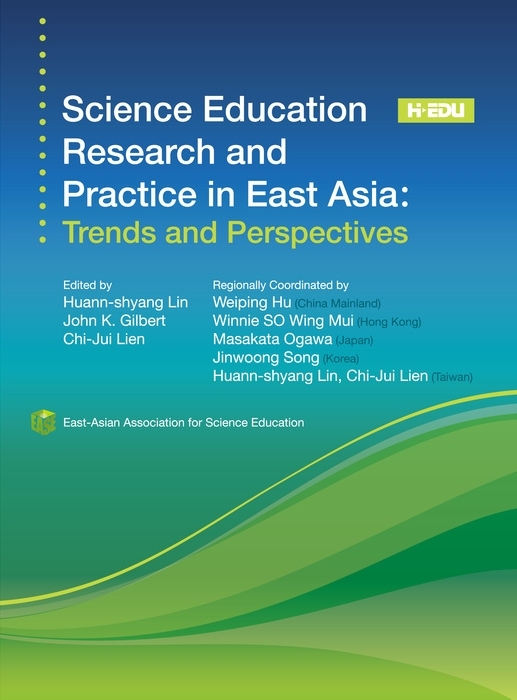 More contribution to the science education in East Asia may be initiated from here.